If you wish to schedule a road skills test, click here to email us. Effective 9/4/18, the Louisiana Office of Motor Vehicles (OMV) will implement the Temporary Instruction Permit (TIP). This document must be obtained from the OMV prior to attending any driver education class. All students who plan to attend a driver education class on or after 9/4/2018 must present the TIP to us on the first day of class. 20 YEARS IN BUSINESS CUSTOMER APPRECIATION SPECIAL! No deposit required. Payment plans available. Pay with cash, check, or credit card. Thanks for choosing South Lafourche Driving School! Here at South Lafourche Driving School, we are dedicated to teaching students the attitude and skills needed for safe driving. We have serviced the South Louisiana community for 20 years. We pride ourselves on providing quality driver education services to the South Louisiana community at an affordable price. 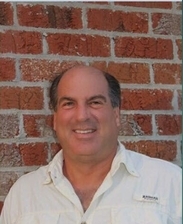 James Suttle has been the owner/instructor of South Lafourche Driving School since it's opening. Coach Suttle taught in the public education system for 33 years. He also taught driver education in public school system for nearly 20 years. Coach Suttle not only has the credentials of a highly qualified teacher, but he has the years of hands- on driver education teaching EXPERIENCE needed to teach students the skills needed for safe driving and to train other instructors how to do the same. You must be at least 14 years and 9 months and in the 8th grade to take this class. This class consists of 4 days in the classroom and 8 hours of behind the wheel driving. We give the official OMV written test on the last day of class. 704 Dr. Martin Luther King, Blvd. You must be 18 or older to attend this class. This class consists of one day in the classroom and 8 hours of behind the wheel driving. We give the official OMV written test on the end of the class day. 704 Martin Luther King Blvd. Copyright 2011©South Lafourche Driving School. All rights reserved.